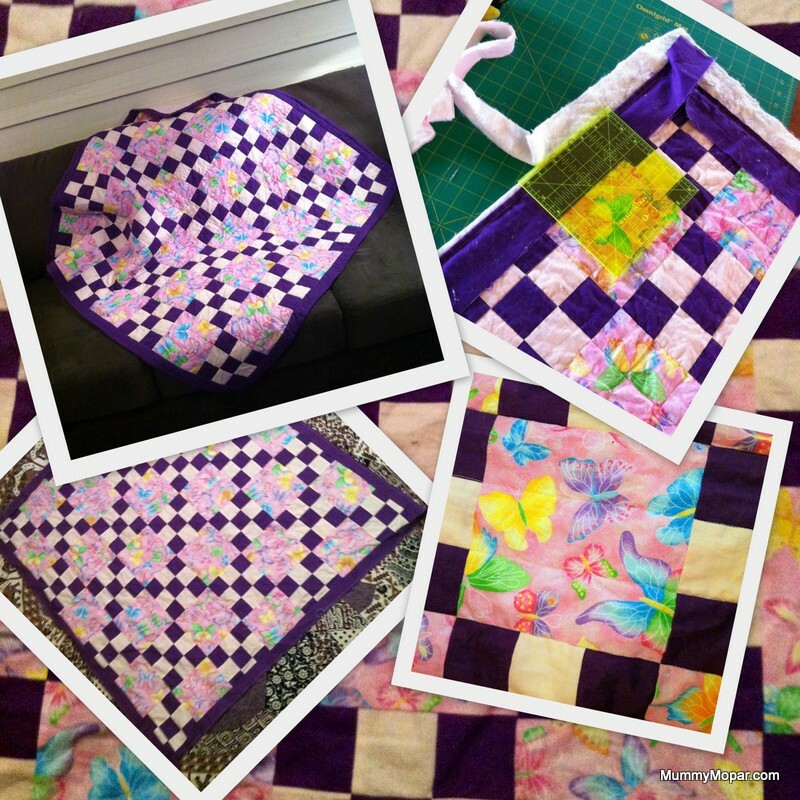 Knitting, kneading and a finished quilt!! 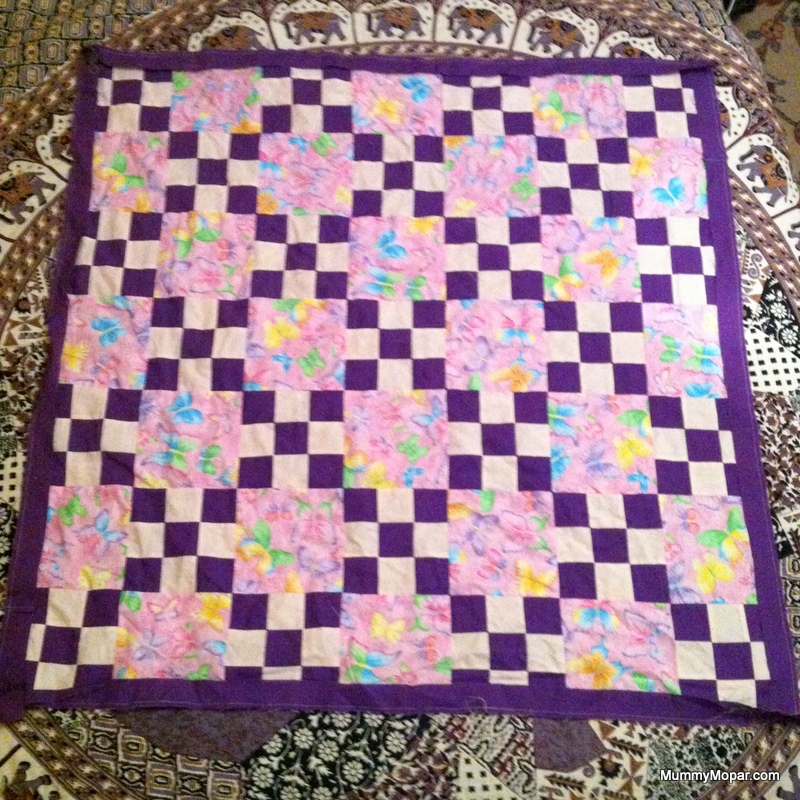 I finished Squeak’s quilt!! I think I have to wash it tho. I am very happy with it, now to work out my next quilt. It’s hard to decide what to do next, but I think I must do a dresden plate, as DaddyMopar bought me an easydresden template a few months ago. It makes dresdens soooo simple, and there are a few random dresdens floating round our house that I’ve practised on. 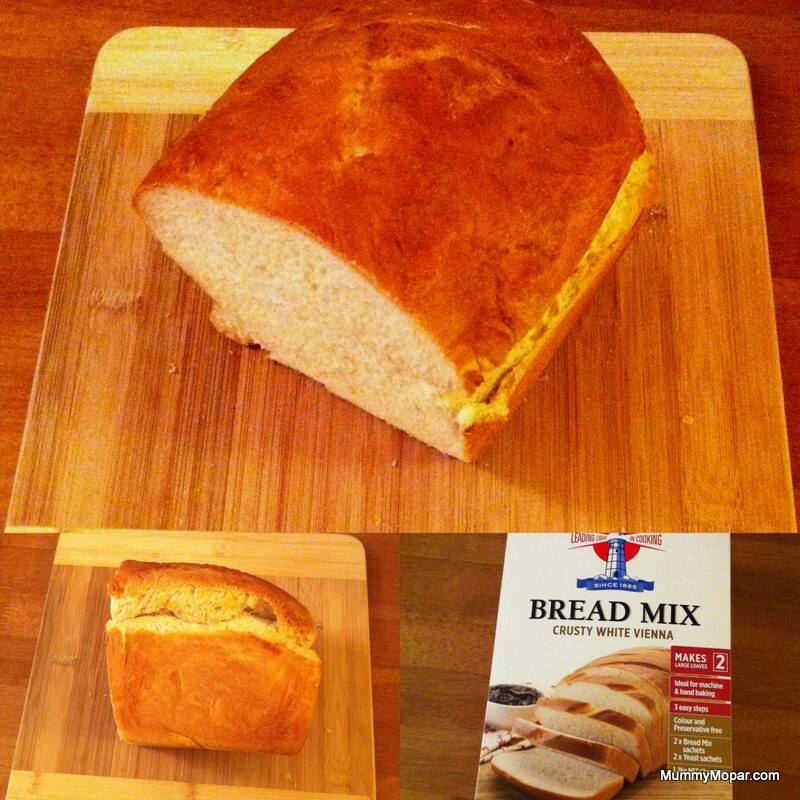 I bought a box of bread mix last week, as I have had bad results with my dough making. I have ended up with under-risen dough, which is frustrating. Today I made the dough, doing the kneading in my bellini, the mix was as big as the machine is supposed to handle. The instructions with the bellini say to knead 1min on speed 6, then on speed 1 for a bit. That doesn’t knead properly so I started on speed 6, but then speed 4 for a few minutes and beautifully kneaded dough! I let it rise in a bowl on the stovetop, the vent from the oven provided decent heat to rise nicely. I was making home-made sausage rolls, so I had the oven going which made the rising easy. DaddyMopar is having sandwiches made with the bread for lunch tomorrow. 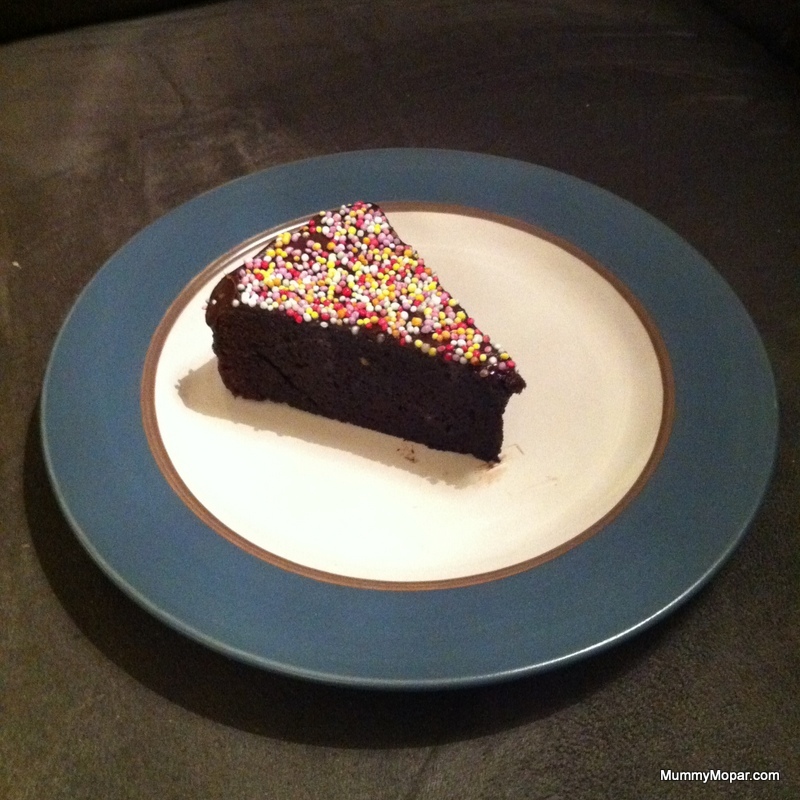 It tastes beautiful, but is a bit difficult to slice. Next time I will make a lower loaf, of rolls. I might start making bread and yeast products more often. Squeak’s persille jumper is coming along nicely, I want to knit a lot now. I have finished the back, and I’ve started on the front. I am still on the first 50g ball, so I might only need 2, maybe a bit of a 3rd. I bought 4 to have enough, but I will have leftovers! Maybe Squeak’s dolly will get a pretty new purple dress soon enough! I love the pattern in it, It isn’t as complicated as it looks! Do you know how to slice home-baked bread? 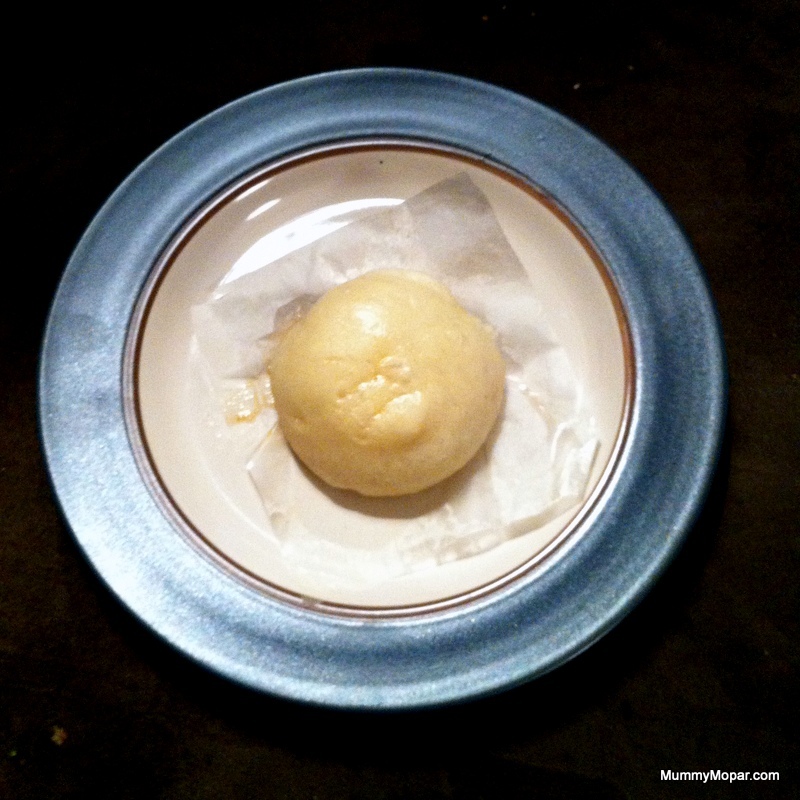 Pork buns, Teething and more quilting – What a weekend so far!! We have had a big weekend. DaddyMopar took Squeak to visit his brother and sister-in-law on friday afternoon. Squeak loves her aunty, and I encourage them spending time together. Aunty looooves her lil Squeak. I feel lucky my daughter has such a special relationship with her aunt. 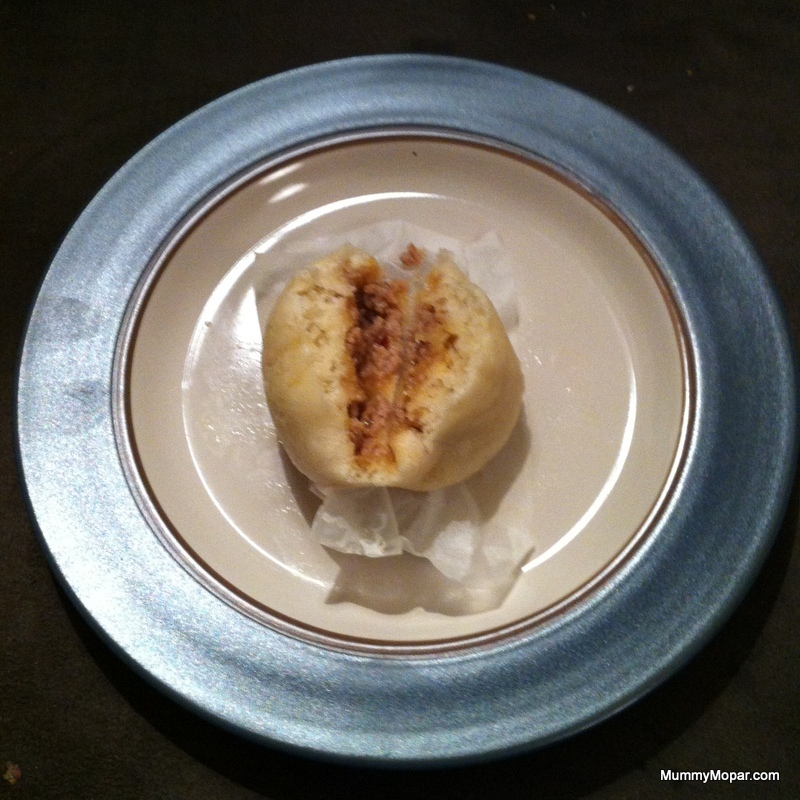 When DaddyMopar and Squeak got home we had dinner, I had cooked steamed pork buns. I made the dough in the bellini, it was sooo easy! The recipe from Taste is HERE. They were quite tasty, and Squeak gobbled up two. We then had an unsettled night, as Squeak woke at 3am and wouldn’t settle. We finally all fell asleep on the couch at 8am watching cartoons. Later on saturday I noticed a new tooth peeking through. Now there are 5 teeth! I had thought it was the buns giving her indigestion, as they had hoisin sauce in them, and maybe it was too spicy? I have been working on Squeak’s quilt quite a bit lately, I am now hand sewing the back of the binding on, so it could be finished tonight. I am on the last edge, so Squeak could be sleeping under her quilt tomorrow night. I am contemplating washing it first tho, as I want it perfect for her. I did things quite out of order, sewing on binding before trimming to size. We are almost finished! Normally I do a folded binding, but they are very bulky. 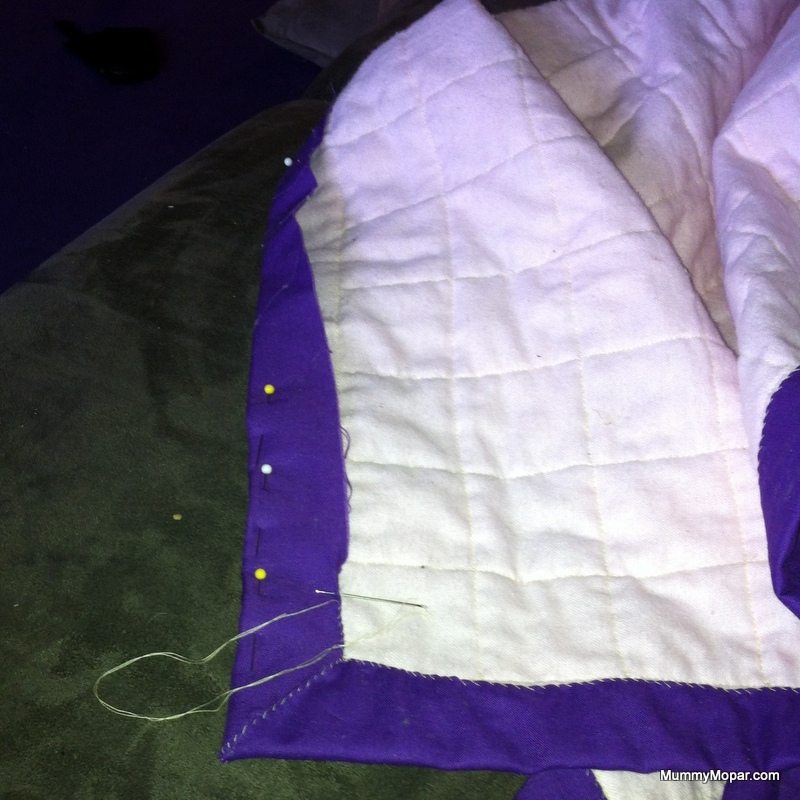 This time I did an unfolded, it just means I have to fold under some binding as I sew. I am finding it very enjoyable. It is also less bulky, whick is desirable as it is a very light quilt. I used flannel as the backing as I love the feel of flannel, and I prefer flannel sheets all year round as they are soft and welcoming. I am looking forward to it being finished! I think Squeak is too, as she reaches for it when I am working in it. Cottons and Socks, maybe a wool-wool? 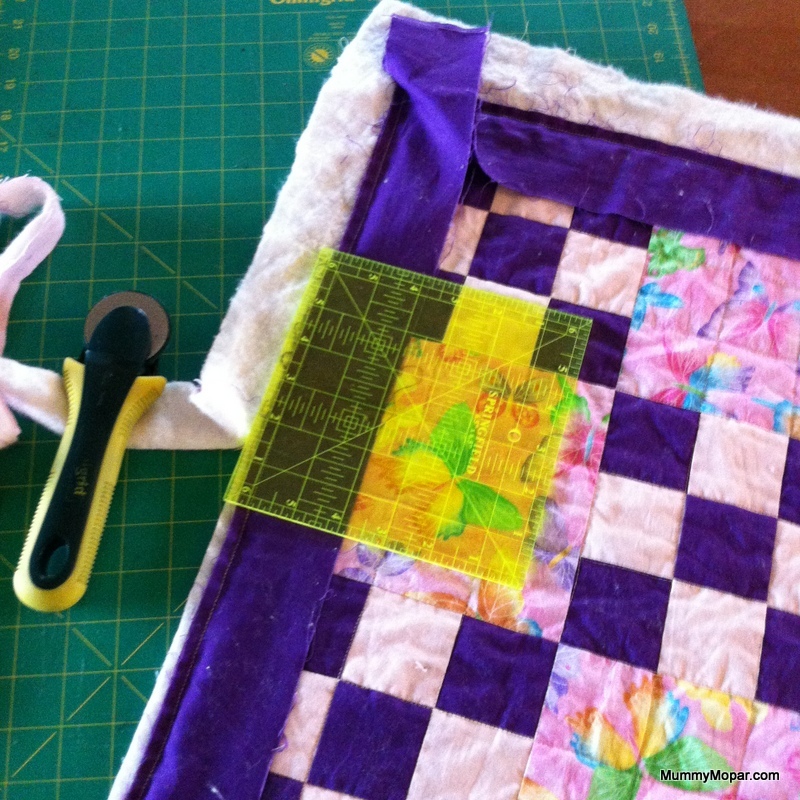 After running out of thread last night I desperately wanted to get more and continue with Squeak’s quilt. We were also running low on her socks, as most kids take their socks off, and often. I have a collection of odd socks and not many actual pairs. I went into town to go to Lincraft, and Target. 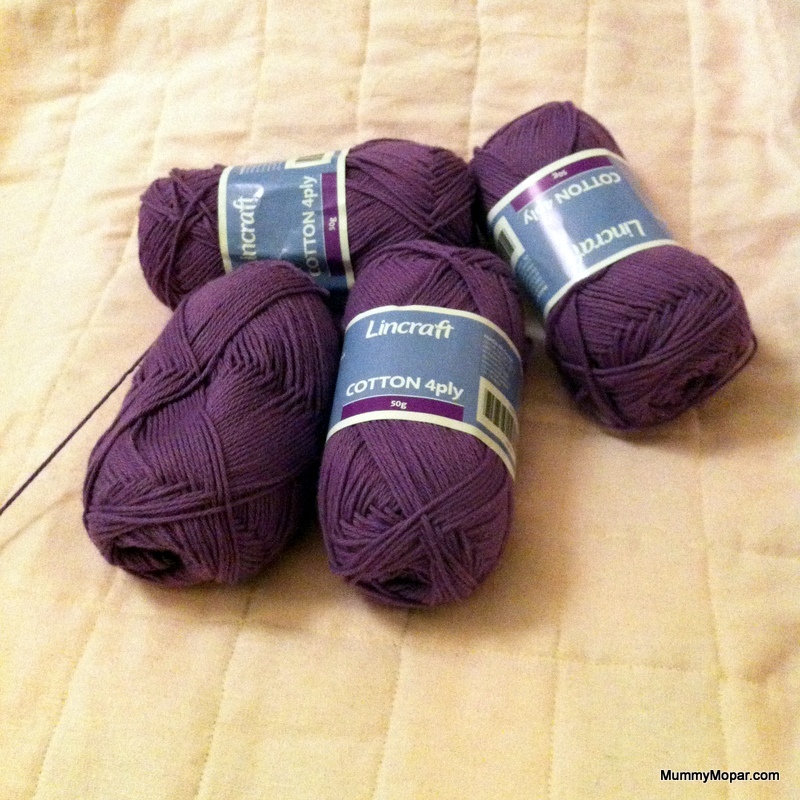 Yes, 4 ply cotton in a beautiful purple colour. Here is a link to the pattern in Ravelry I have wanted to do, and have just started, as I couldn’t start quilting til later in the evening. In Lincraft Squeak wanted to hold the Wool-Wool as we call it, and looked after a ball for the entire shopping trip. Her eyes light up every time she sees a fresh ball of wool, and loves feeling it, and holding it up to her upper lip under her nose. She also does the same to small remnants of wool as well. She loves her wool-wools. 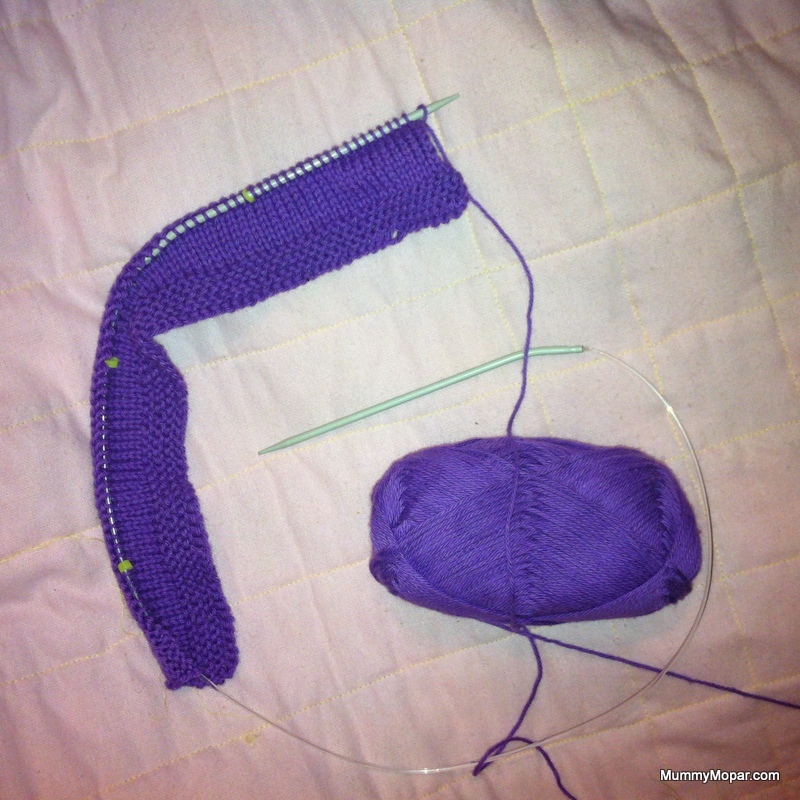 With the pattern, I am winging it a bit, as I am using 3.25mm needles, instead of the 3mm. Using cotton will affect the tension as it doesn’t have a lot of stretch, but a lovely drape. I have made a few shawls in cotton before, and Squeak’s favorite blanket is made in cotton, so I love knitting with it. Hopefully my tension won’t be too different from the pattern. After we went to Lincraft we went to Target and bought socks. There were 10 packs, so I got 3. Hopefully they won’t all go missing for a few weeks, and as they are the same 10 colours in each pack then I will have less odd socks for a while hopefully. I find socks everywhere. With the quilt, I now have the bobbins wound and the machine threaded, and I’m on track to have the quilt close to finished by the end of the weekend. The most time consuming task is hand finishing the binding, that could take an evening or two. I hope to be at that stage by the end of the weekend. As I was quilting this evening, I realised I had made a lot of work for myself by quilting every 2 inches, instead of every 3 inches. It would of looked just as effective, and saved a lot of work. Maybe next time. Do you find socks everywhere? Does everyone get nervous about dentist appointments? I definitely do, to the point of my legs shaking. I had a clean and checkup this morning, and I only need one filling, which is a repair of an older filling. DaddyMopar is having this week off before he starts a new job, so we decided to go to the park so Squeak could feed the ducks in a local park. Our local park is more of a nature reserve, with a lake fed by a creek, and some very well fed ducks. As we parked our car we were greeted by a duck, followed in, then followed by about a doen ducks to a picnic table. We had brought bread for the ducks, and cheese and bacon rolls for us. Squeak loved the ducks, she had a massive grin as we threw crusts, and all the birds ran to get them. It was a nice winter’s day. 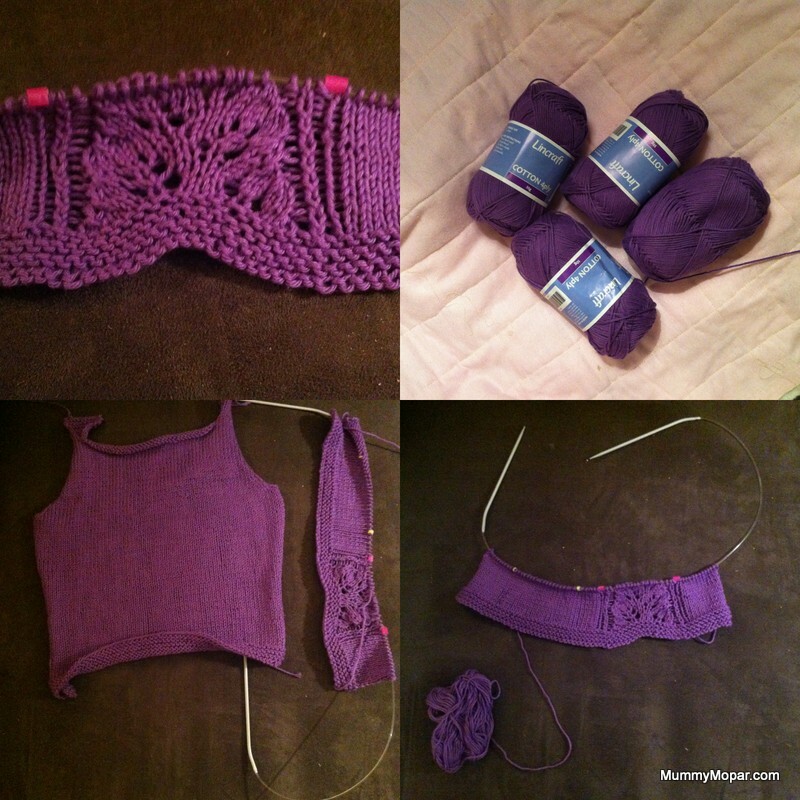 Do you have any suggestions for which pattern I should knit? Today I went clothes shopping, a task I have tried to avoid since Squeak was born. She is 15 months old now, and I desperately needed new clothes. I tended to buy cheap t-shirts from Kmart, and I had bought 2 pairs of jeans that fell down way too much. We went to DFO in Essendon, as we hadn’t been shopping there in close to a year. We started in Rivers, a clearance outlet. I picked out 5 long sleeved t-shirts, and a thick dark pink waterfall cardigan. We then poked around in a few shops, and in typo as they had large scrabble tiles to make names. I would have bought Squeak’s name, but disappointingly they had no A. I would have loved it for her room, as I am slowly re-decorating it for her. I then tried on a pair of jeans with a higher waist in Jeanswest. We were the only customers in the shop, and the assistant was lovely and she was quite knowledgeable about the fit of jeans, which is great as my body is quite lumpy and bumpy since I had Squeak. I have so much trouble finding jeans as I don’t like skinny leg jeans. I ended up buying 2 pairs in a dark denim. 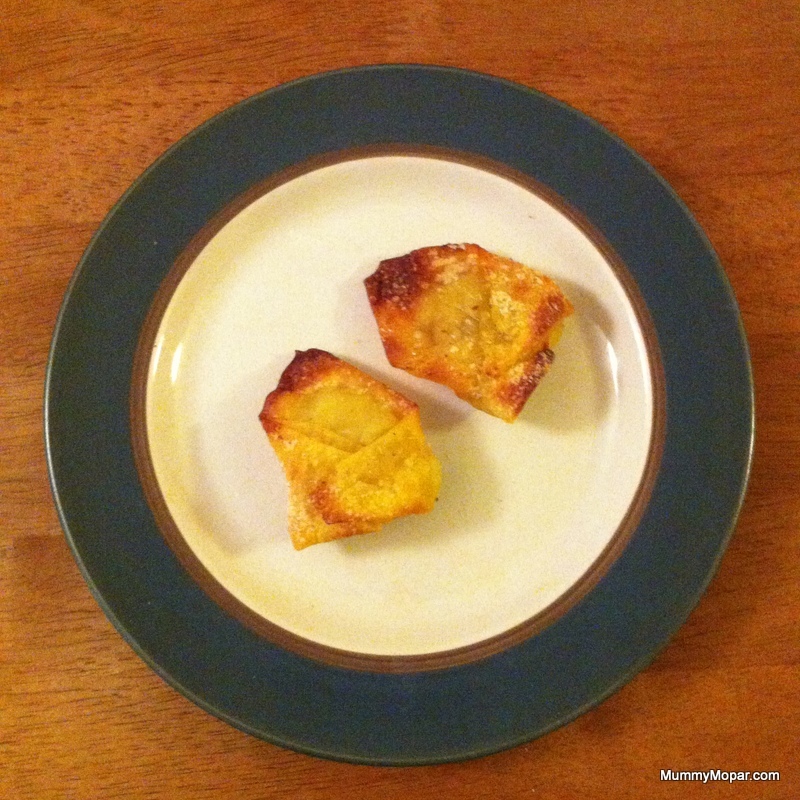 When we got home I made pork wontons with chips in the Philips Airfryer. 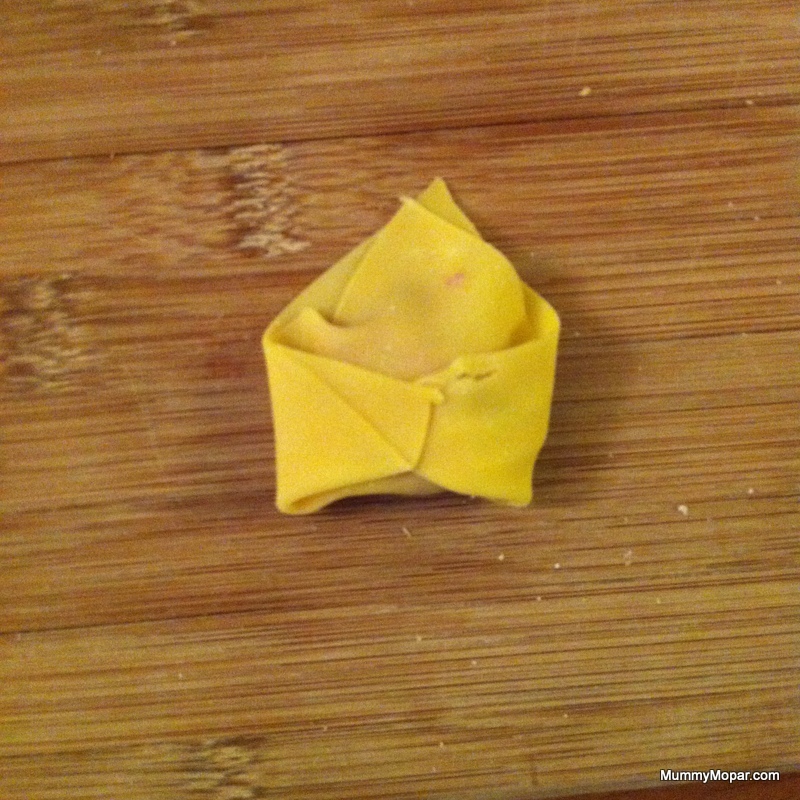 I have made chicken wontons before and steamed them, and have tried them fried years and years ago. I didn’t get a pic of the chips, I will have to next time! They go soooo quick, and they are really good. They are a favorite in the Mopar household. 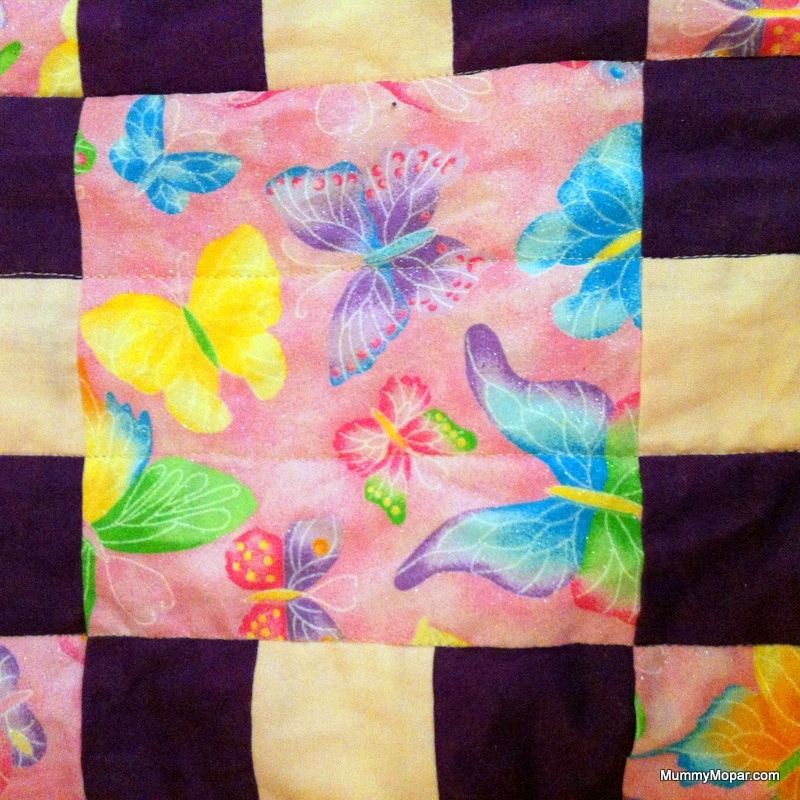 It is 6 inch squares, alternating between nine patch and fussy cut butterfly squares. I have had a jungle theme in her room, but am considering switching to butterflies as I love this fabric soooo much. Squeak loves it and when she sees it she wants to play with it, even tho it isn’t finished. I’m still going to try to finish it by the end of the weekend. It has been an unfinished project for far too long. Do you have unfinished projects? What a weekend!! The family birthday dinner for DaddyMopar with his family! His brother and sister-in-law cooked up a feast of roast lamb and chicken, and delicious roast veggies! We then had apple & blackberry crumble, We were spoiled! Our sis-in-law also made a birthday mudcake, Yum Yum!! Yes, I got a piece to bring home!! Lucky me, as it’s my favorite. On Sunday we went shopping to buy a replacement doll, as Squeak’s doll had damage on her little plastic doll hand. Off we trotted to buy two new ones. Now we have Baby Deedee, and backup Baby Deedee. There is a stress when your child’s favorite toy is out of commission, and luckily she was easy to replace. Squeak is very attached to Baby Deedee, tries to take her everywhere, and doesn’t want to nap without her. Luckily she didn’t notice that Deedee had changed slightly, and I was very relieved. We also went to Bunnings to get more fabric storage cubes, for my sewing room. Recently I had new shelves built to accommodate the ever-popular fabric storage cubes. I don’t have a built in linen cupboard, or any built in wardrobes, so I need the cubes to be my linen cupboard, as well as my craft cupboard. Today we continued re-organising my sewing room, It is amazing how much fabric, and wool I have. The local CWA spring show is coming up in a few weeks, and I am tempted to make a few things, as well as finish a few unfinished knitting and quilting projects to enter. I have been too nervous to enter in the past, but this year I think it’s time. I have to decide what I am making, and what projects to finish. 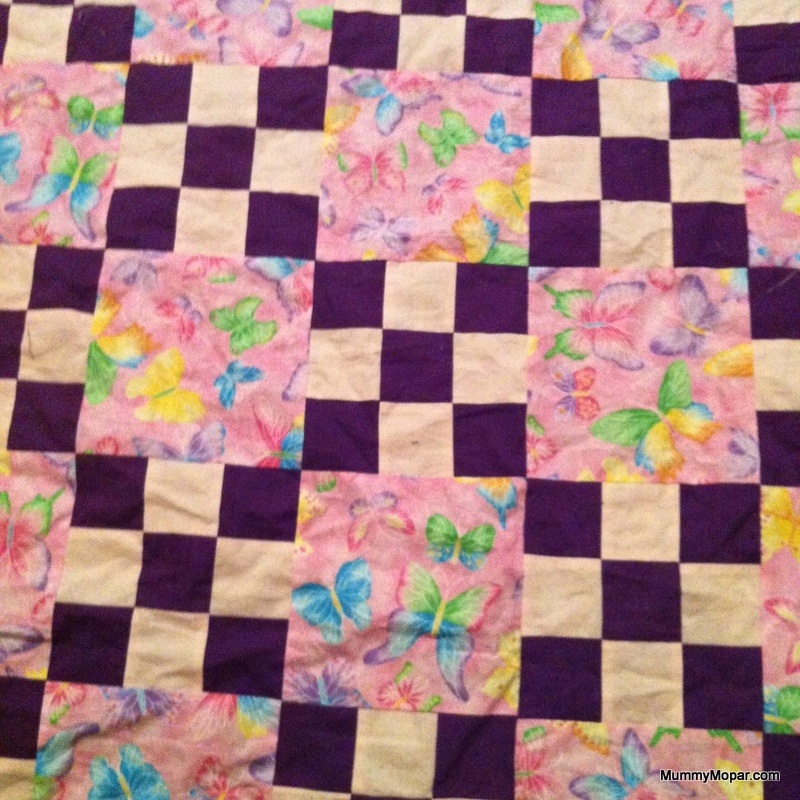 One I MUST finish is Squeak’s baby quilt. It is so sweet, pink and purple with butterflies. I hopefully will finish it by the end of the upcoming weekend. fingers crossed. Do you have unfinished projects? or a suggestion of what I should knit to enter?